Uric acid is a byproduct the body produces when the kidneys metabolize purines, which are crystalline compounds occurring naturally in certain foods. Under normal circumstances, uric acid is flushed out of the body via urine. Your uric acid levels can rise if you consume a diet rich in purines, or your kidneys do not function optimally to eliminate the uric acid. High uric acid levels can lead to gout, kidney stones or even renal failure. Hence, it is advisable to adopt measures that can help reduce uric acid in your body. While you can take medications and reduce your intake of foods rich in purines, it is best to use home remedies as they do not have side effects and are completely safe to use. Lemon juice is a wonderful source of Vitamin C, which can reduce the levels of uric acid in your body. The alkaline juice neutralizes the acid, allowing your kidneys to flush it out without any problem. 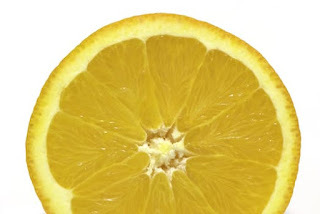 Squeeze the juice from a fresh lemon into a glass of lukewarm water. Make sure you consume it first thing in the morning before you eat or drink anything else. You can make the juice more palatable by sweetening it with some natural honey. Use this home remedy for about three to four weeks, until your uric acid levels come down. Who does not love these red, succulent berries? However, did you know cherries can help reduce uric acid levels effortlessly? Cherries contain some naturally occurring compounds, including flavonoids, which can reduce the levels of uric acid in your body while combating inflammation and stiffness that gout causes. You should be looking to consume approximately half cup of fresh cherries for about two to three weeks for this home remedy to be effective. You can alternatively drink one or two cups of tart cherry juice. Apple cider vinegar has so many medicinal properties that it is not surprising that it can also help reduce the levels of uric acid. The vinegar is an excellent detoxifier and can facilitate elimination of waste from the body. The presence of malic acid in apple cider vinegar helps metabolize uric acid, so that the body can easily eliminate it. Furthermore, the vinegar can also provide relief from inflammation brought on by uric acid. Look for raw, unpasteurized and organic apple cider vinegar for this home remedy for uric acid to be effective. Dissolve a teaspoon of the vinegar in a glass of water. Drink this concoction two to three times a day. As you get used to the taste of the vinegar, increase the amount gradually until you can stomach two tablespoons. Continue drinking the diluted apple cider vinegar until your uric acid levels come down. A word of caution - avoid consuming too much apple cider vinegar. Besides reducing uric acid levels, it can also deplete potassium from the body. Baking soda is often used to disinfect and clean surfaces. However, this alkaline bicarbonate can make it easier for the kidneys to flush uric acid out of the body by making it more soluble. Baking soda can also alleviate pain caused by gout. Dissolve a half teaspoon of baking soda in a glass of water. Drink it up. You should drink this mixture up to four times a day for about three to four weeks. Avoid this remedy if you suffer from high blood pressure. Drinking water is always good for health as it helps in removing chemical substances, toxins as well as harmful chemicals from the body. Drinking plenty of water also helps in uric acid filtering as it dilute the uric acid and help the kidneys to eradicate excess amount of the acid through urine. So always drink at least 8-9 glasses of water every day. Drinking an adequate amount of water also prevents the risk of getting gout attacks. In order to prevent high uric acid levels and gout attacks, you can also include green juices, fresh juices and water rich fruits and vegetables in your diet. Not many people know this, but when you heat or process vegetable oils, it changes into rancid fat, which is quite harmful for the health. This rancid fat destroys the Vitamin E present in the body, which plays the lead role in controlling uric acid levels. So when it comes to olive oil, it is always suggested to go for cold-pressed olive oil for cooking purposes as when you heat this oil, it changes in monounsaturated fat that stays stable when heated. Olive Oil is also rich in Vitamin E and antioxidants and is highly beneficial in controlling uric acid in the body. Intake more and more food rich in dietary fiber and starchy carbohydrates as they contain a very small amount of purine and reduces the uric acid level in the body. You can eat fiber rich foods like apples, pears, oranges, whole grains and strawberries. You can also consume foods like rice, tapioca, potato, oats, quinoa and bananas that are rich in starchy carbohydrates and prevent the formation of uric acid in the body and are highly effective in treating uric acid as well as gout related problems naturally. Green papaya tea also works to prevent the buildup of uric acid and treat uric acid and gout related problems. Green papaya contains papain which helps the body maintain an alkaline state and acts as an anti-inflammatory agent. Low fat milk and dairy products are not just good for our bones, but are highly beneficial for our overall health. Low-fat milk and dairy products contain lower plasma urate concentrations and hence reduced risk of gout. So, drink at least 3-5 cups of skim milk daily in order to prevent the risk of gout and to lower plasma urate concentration. Drinking skim milk also promotes the removal of uric acid through the kidneys. You can also include tofu, low fat yogurt and other dairy products to promote uric acid clearance. Purines are known to break down into uric acid, which increases the level of uric acid in the body. These Nitrogen-compounds are mostly found in animal proteins. Keep away from foods like meats, organ meats, fish and poultry. Other foods that are high in purine are Legumes, yeast, mushrooms, asparagus and beans. Beer, too, is rich in purine. Wheatgrass is known to restore alkalinity in the blood. It is also a good source of vitamin C, chlorophyll and phytochemicals that promote detoxification. It is loaded with proteins and amino acids and is an amazing alternative to eating meat for protein. Just mix two tablespoons of wheatgrass juice mixed with a squeeze of lemon juice daily until your uric acid level comes down. •Avoid alcohol as it affects the elimination of uric acid. •Do not consume high-fructose corn syrup or glucose-fructose syrup as they are known to increase uric acid levels. •Exercise regularly and maintain a healthy weight. As putting on weight tends to increase uric acid production. •Always eat a balanced diet which is high in complex carbohydrates and low in protein. Make sure you avoid refined carbohydrates like white bread, cakes and candies. •Lower the intake of foods high in fat as it affects the body’s ability to get rid of uric acid. Home remedies are a blessing for people who do not want to take traditional medication for their ailments. However, when trying to treat high uric acid levels, always consult your physician so that the home remedies do not interfere with any other medication you are taking. Once you get your doctor’s approval, try these home remedies for uric acid. They are effective and you will be amazed at the results.